Dannie Adkins, 79, 429 Ironwood Drive, Sidney, Ohio passed away on Saturday, July 22, 2006 at 6:50 PM at Dorothy Love Retirement Community. He was the son of the late Pembrook and Ella (Sharp) Adkins and was born on September 23, 1926. He is survived by his wife of 59 years, the former Betty J. Hammack; five sons, Dannie Jr. of Columbus, Ohio; Ed and Tim of Sidney, Ohio; Rex of North Carolina and Ted of Wapakoneta, Ohio. Donna, his daughter, preceded him in death. Also survived by 13 grandchildren and 9 great-grandchildren; 5 sisters, Lizzie Ferguson, Minnie Stewart, Ruby Moore, Linda Rolando, Arlene Klump and 3 brothers, Melvin, Earl and Arvil Adkins. One brother, Willis preceded him in death. 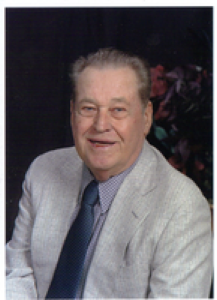 Mr. Adkins served in the United States Navy during World War II was a member of the Sidney American Legion, he was a member of the First Nazarene Church of Sidney and was a security officer for Goodyear Tire and Rubber Company. There will be a memorial celebration of life service on Tuesday, July 25, 2006 at 6:00 PM at the First Nazarene Church in Sidney with Rev. Chad Wilson. Memorial contributions may be made to the Dorothy Love Life Care Fund in Dannie Adkins&#39; memory, 3003 W. Cisco Road, Sidney, Ohio 45365.